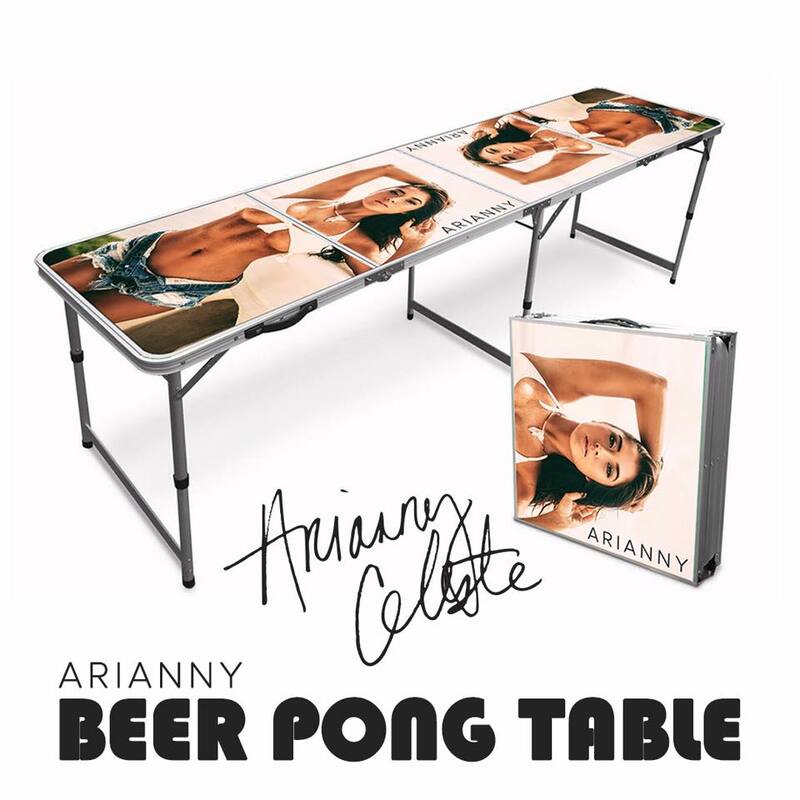 UFC octagon girl Arianny Celeste has released a new beer pong table available for purchase through her website. The item began shipping March 5 and is currently listed at $299. Beer pong is a drinking game in which players throw a ping pong ball across a table with the intent of landing the ball in a cup of beer on the other end. The game typically consists of opposing teams of two or more players per side with 6 or 10 cups set up in a triangle formation on each side. Each team then takes turns attempting to shoot ping pong balls into the opponent’s cups. 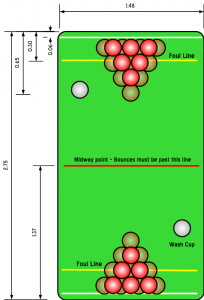 If a ball lands in a cup, the contents of that cup are consumed by the other team and the cup is removed from the table. The first team to eliminate all of the opponent’s cups is the winner.